Fiona Bruce looks back at some of the most memorable moments from the last 31 years of the Antiques Roadshow. Fiona Bruce wades through the archives to recall the most jaw-dropping moments. Michael Aspel examines the tricks of the trade used by the Antiques Roadshow specialists. Fiona Bruce looks at top quality finds from 31 years of Antiques Roadshow valuations. Which single Roadshow object has been bought most cheaply and sold for the biggest profit? Fiona Bruce and experts look at the most stunning jewellery from the Antiques Roadshow. We meet some of the most memorable characters ever to appear on the Antiques Roadshow. We hear some amazing stories brought to the Roadshow by the children of prisoners of war. Fiona Bruce and the team attempt to find the most ancient item ever appraised on the show. 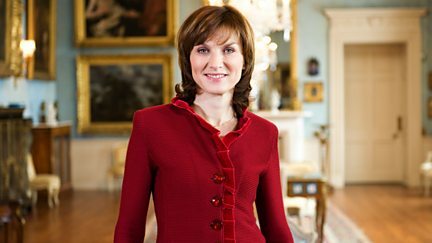 Fiona Bruce and the team recall the royal treasures that have been unearthed on the show. The team remember some of the most moving discoveries in the history of the series.